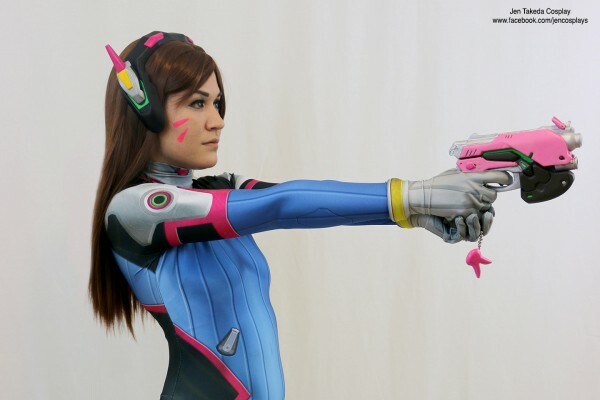 Overwatch D.Va Cosplay « Adafruit Industries – Makers, hackers, artists, designers and engineers! You can either make a pattern using photoshop/illustrator/ect yourself, or commission an artist make one, which is what I did since my digital art skills are terrible. 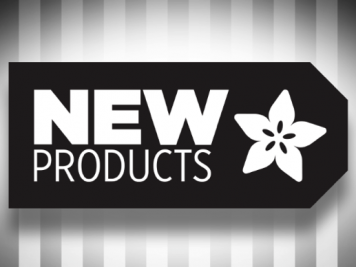 There are a few online retailers you can then send the template to who will print and also sew it together for you (you can choose to sew it yourself and they’ll just send you the printed fabric with some of these stores). 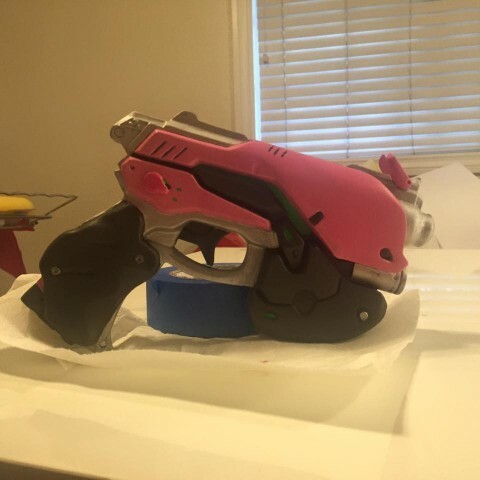 She got unfinished versions of the headset and gun by Gateway Props and painted them. You can see more photos at Facebook.